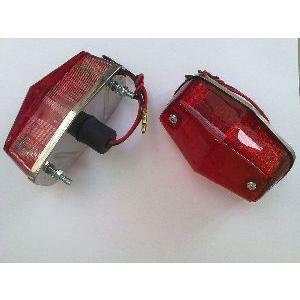 A great reproduction of the original tail lamp. This is a stop and number plate lamp as fitted to TR2-3. This part number is for 1 lamp only, two are shown to show the back and front of the lamp..
Revington TR information: Number plate illumination lamp, TR2,3,3A,3B and used on the works rally TR4 cars. This lamp has also been used on literally millions of vehicles from the 1950's right up to date.